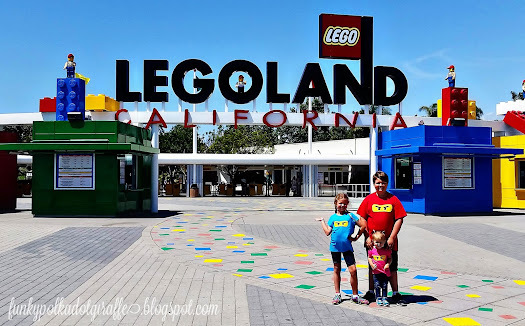 Disclosure: I am a LEGOLAND California ambassador. All opinions are my own. It's coming! Are your Spinjitzu moves ready? The LEGO NINJAGO MOVIE opens in theaters on September 22, 2017! 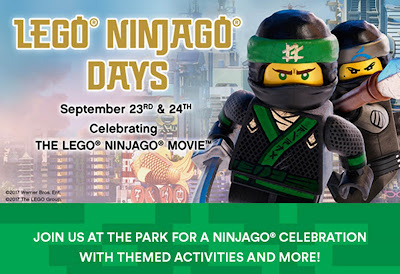 To celebrate this highly anticipated film, the LEGOLAND California Resort is hosting LEGO NINJAGO DAYS on September 23 and 24. 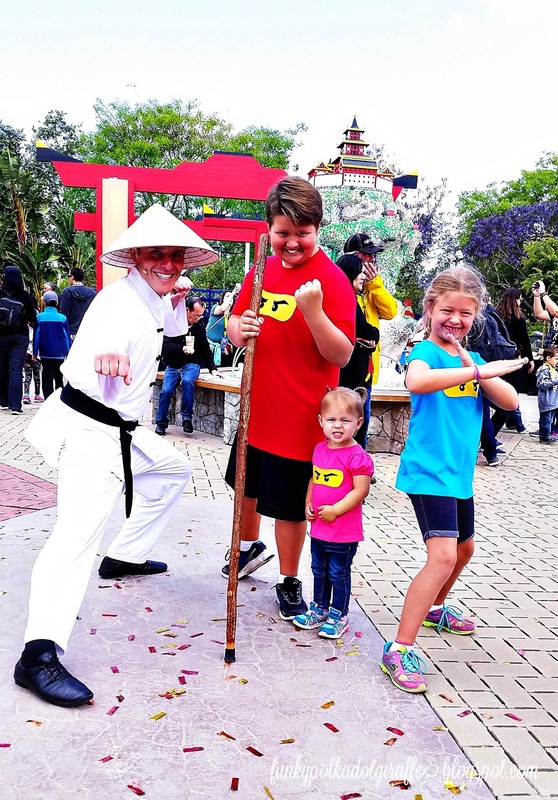 If you're a LEGO NINJAGO fan are ready to embrace your inner ninja, then you'll want to join us at LEGO NINGAJO Days at LEGOLAND California Resort so you can hone your Spinjitzu moves! Grab a photo and an autograph from your favorite LEGO NINJAGO Movie characters. Go on a scavenger hunt for the ninjas in Miniland U.S.A. Be sure to complete your entry form for a chance to win a LEGO NINJAGO prize pack. Work collaboratively to build a LEGO mosaic during the Mystery Mosaic LEGO Build. Play the brand new LEGO NINJAGO Movie Video Game at the WB Family GameSpace. 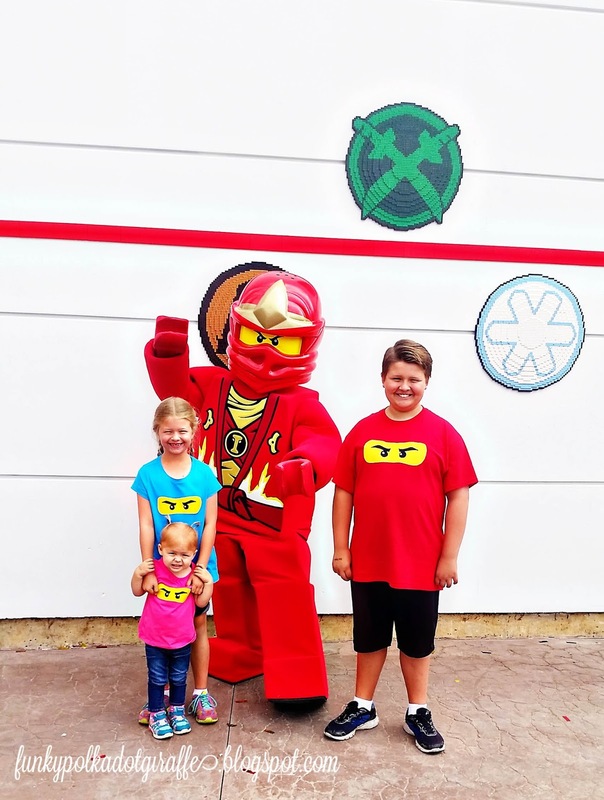 Refine your ninja moves on the LEGO NINJAGO Ride. Test your endurance, agility, and strength Cole’s Rock Climb. While your at NINAGO World, don't forget to eat at the Ninja Kitchen. 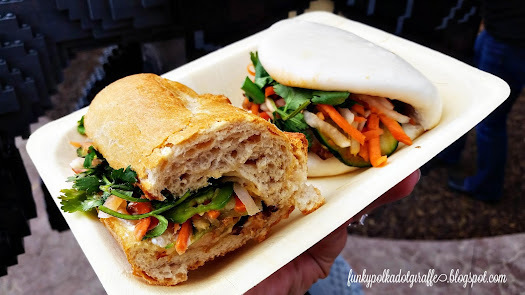 The LEGOLAND chefs have put a fun ninja twist on Asian street food and created Banh Mi Vietnamese sandwiches on fresh baked baguettes or steamed Bao Buns. You have your choice of crispy pork belly, lemongrass chicken, or baked sweet chili tofu. I love the pork belly the best! 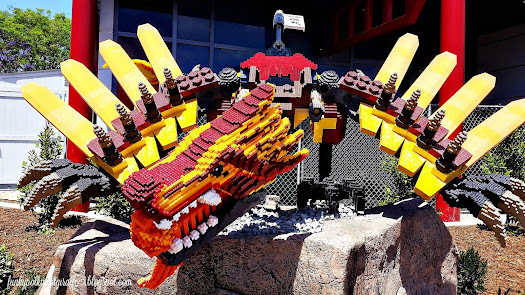 Be sure to check out the 22 LEGO models within NINJAGO World - they are amazing! My kids always want to take their pictures with all the ninjas. 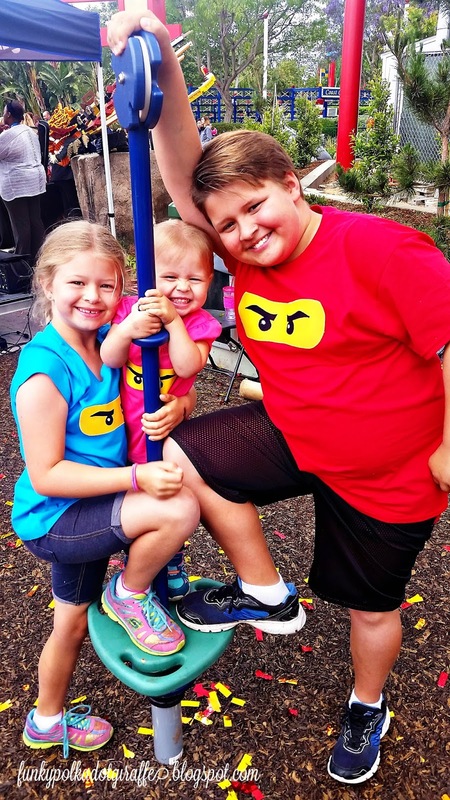 There are guardian dragons, swords of the four elements, and a 500 pound model of Nya and Zane that is created out of 73,600 pieces and took four model builders 550 hours to build! There is also the NINJAGO Monastery that stands more than 9 feet tall and is made of more the 850,000 LEGO bricks. The monastery sits in the center of NINJAGO World for everyone to enjoy. My favorite is the NINJAGO dragon! 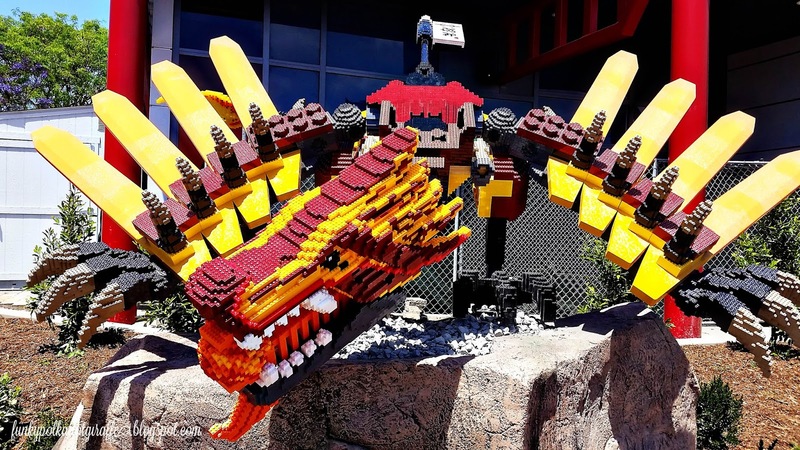 He has a wing span of more than 7 feet and is made of more than 48,000 LEGO bricks! It took Master Builders more than 200 hours to construct! I love the bright colors and the impressive wing span as he perches upon the giant rock. The LEGO NINJAGO Movie opens in theaters this Friday, September 22nd and LEGO NINJAGO Days are September 23rd and 24th. 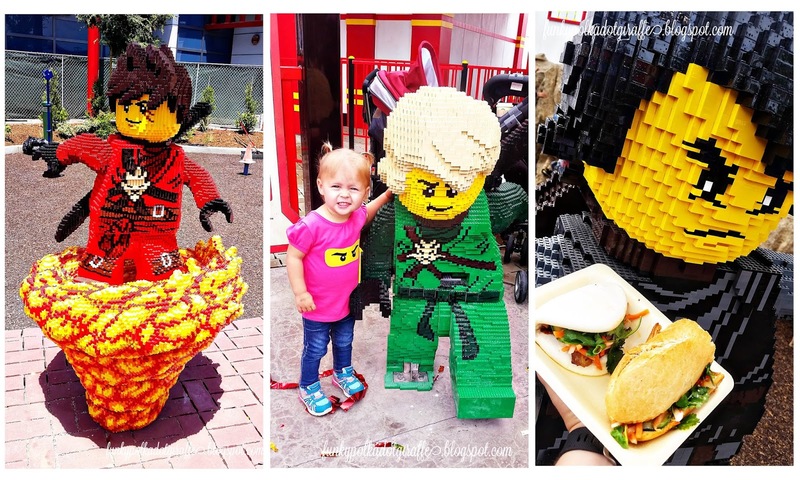 So be sure to visit LEGOLAND California this weekend and increase your prowess as a ninja and let me know which you like better - the Banh Mi sandwich or the Bao Buns!